Since media has become an integral part of today's world, the demand for the program related to this field is growing globally, especially in countries like Nepal which is trying to enter the age of information which has opened door to a wide range of career opportunities. Thus, the number of students willing to pursue a degree in Media Studies is increasing. And to quench the thirst of these students, Kathmandu University is offering an intensive four-year undergraduate program in Media Studies termed as Bachelor in Media Studies. 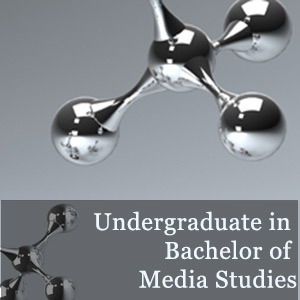 The Bachelor of Media Studies program is divided into eight semesters, consisting of 136 credit hours. The program is a combination of theories and practices in media of communication & media-related issues with a major emphasis on media research. In addition to the solid grounding in the discipline area, the students are provided with the opportunities to broaden their knowledge of the use of IT, media literacy, solid base of communication skills and more. It covers courses, such as Computer Foundation, Social Science, Nepal Studies, English I, Prayojan Parak Nepali, Global Media, Functional English, Research Methodology, Journalism II, Text and Audience, Public Relations, Introduction to Psychology, State and Role of Media in Nepal and Statistics & Probability among others. Students interested in pursuing Bachelor of Media Studies should have passed +2 level in any discipline from the board or university recognized by the Kathmandu University with a minimum of a second division. In order to get admission, the applicant must pass the entrance test conducted by the university and participate in a group discussion. Applicant should face a personal interview as well. The Bachelor of Media Studies degree holders can look for employment opportunities in the sector such as interactive content creation, journalism, radio, public relations, communications research, advertising, digital media production, web design, video production and architectural visualization.